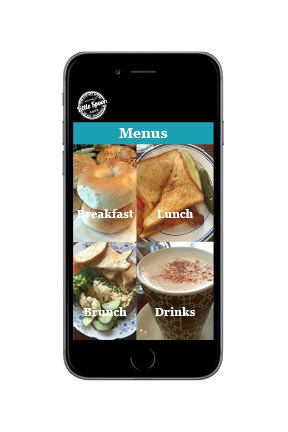 Designed a desktop and mobile website inspired by a local cafe in Philadelphia, PA. I utilized the existing logo for the main colors and my own photography for the location and menu sections. The concept was to redesign the website of a local business of my choosing. I fell in love with this cafe, The Little Spoon Cafe, on my way to work everyday and chose it for my project. The goal of the website was to attract and cultivate new and returning customers especially local residents. I also chose to utilize the cafe’s existing logo and color as the main branding for the site rather than rebrand. My aim for the site was to highlight the food by focusing on the seasonal and special items with plenty of imagery and photograph. All the photography for the project is my own.